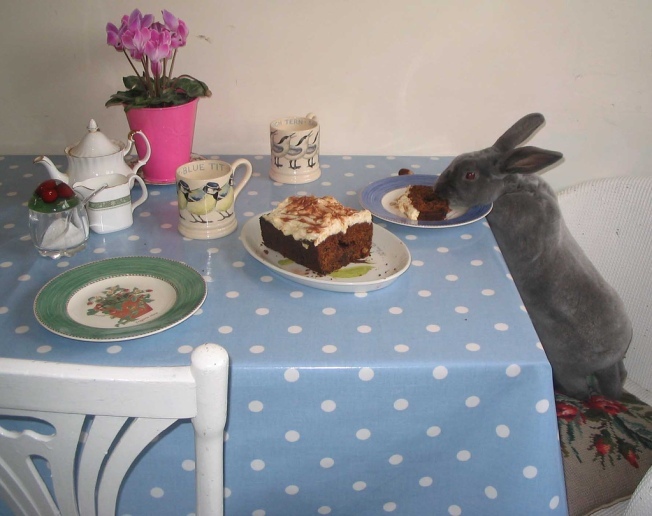 This rabbit misunderstood the invite. First it was kangaroo burgers and now it's rabbits. The City's Mission district is the place to be for exotic food. Bar Tartine is holding a five-course rabbit tasting menu tonight. Chef Chris Kronner and Sean Rembold (of Diner in Brooklyn) will prepare the fuzzy little creatures. No word on whether rabbit tastes like beef as well.